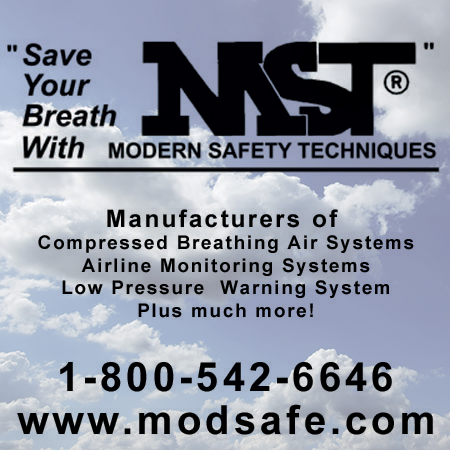 The insulation and siding markets will near $100 billion in all by 2017, while smart (self-dimming) windows continue to grow in the commercial, residential and automotive markets, the reports say. "Smart" (self-dimming) glass has "taken off" in recent years in the commercial, automotive and residential sectors, according to Nanomarkets. Growth will continue, the firm reports. Insulation and World Siding (Cladding), both from The Freedonia Group, detail trends in those growing markets. Smart Windows Materials Markets: 2014-2021, by NanoMarkets, discusses the opportunities for materials in smart windows and changing manufacturing patterns within the sector. Increasing construction spending, new building codes and energy mandates in the construction sector will drive U.S. demand for insulation to 7.6 percent annually, creating a $10.3 billion market in 2017, according to Freedonia, a global research group based in Cleveland. 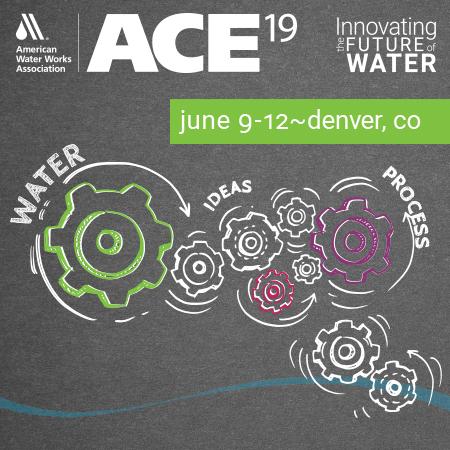 Fueling the growth are the 2012 International Energy Conservation Code (IECC) and the newly released Leadership in Energy and Environmental Design (LEED) updates, known as LEEDv4, which were rolled out in November. The recent spark in housing starts and ongoing efforts to upgrade existing homes will reap double-digit annual insulation demand through 2017, said Freedonia analyst Matt Zielenski. “Not only will more houses be erected, but builders will install more insulation per new structure to comply with the 2012 IECC,” Zielenski said. The world insulation market will get a boost in the commercial and residential sectors from LEED v4, the 2012 IECC updates to codes, and new energy mandates. Office and commercial construction are also pursuing greener building practices for their energy savings and their appeal to customers, the report said. Fiberglass insulation will remain the market leader through 2017, with demand reaching $5 billion. Fiberglass insulation accounted for just under one-half of insulation demand by value in 2012. 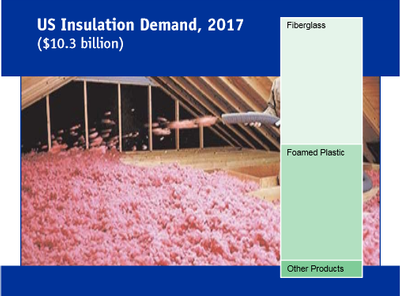 Demand for foamed plastic insulation, which accounted for the second-largest share of the market in 2012, is forecast to grow almost seven percent annually to $4.6 billion in 2017. 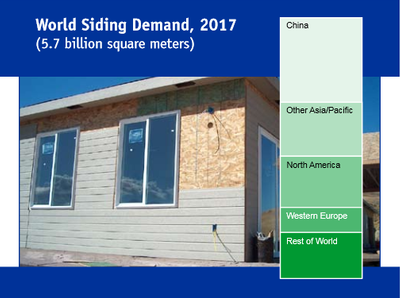 The global siding maret is projected to grow by 5.1 percent per year to 5.7 billion meters, valued at $89 billion, through 2017, according to Freedonia. Growth is forecast in both the residential and nonresidential sectors, and in both developing and developed countries, World Siding (Cladding) reports. The rebounding U.S. housing market will give that country the greatest gains—nearly seven percent annually—although demand will continue to fall short of 2007 levels, Freedonia forecasts. Masonry and concrete will remain the most popular siding materials by far, although fiber cement products should gain market share, Freedonia says. Demand in Western Europe will remain relatively slow and also below 2007 levels. China and India will lead the demand in the Asia/Pacific market, helped by Australia. Demand growth in Central and South America and the Africa/Mideast region will benefit from ongoing industrial and commercial development and rising personal income levels, which will make siding products more affordable for residential construction. In Eastern Europe, growth will be somewhat constrained by a declining population and number of households. “Masonry and concrete will remain the most popular siding products through 2017, accounting for more than three-quarters of demand,” reports Freedonia analyst Allison Blackburn. "Fiber cement products are expected to gain market share, particularly in North America.," she added. "Vinyl siding is also forecast to post strong demand gains through 2017, enjoying wide popularity in the U.S. Wood siding products are forecast to post the slowest demand gains through 2017." NanoMarkets sees "important opportunities" emerging from what it calls the smart windows "revolution." Smart windows, a multibillion-dollar market, have the ability to dim glass based on a particular chemical, electrical or mechanical process or processes. The vast majority of today's smart windows are clear, not tinted, glass, NanoMarkets notes. The report's eight-year projections examine the opportunities for materials in smart windows and mirrors using six technologies: electrochromic, photochromic, thermochromic, PDLC, SPD and micro-blinds. Of the six technologies, however, electrochromic is the "most developed materials platform for smart windows" and the only one of the six "that could reasonably considered to be something more than just a niche." That dominance is unlikely to change through 2021, the report's forecast period. Micro-blinds, for example, "have yet to leave the laboratory and may never do so," NanoMarkets reports. 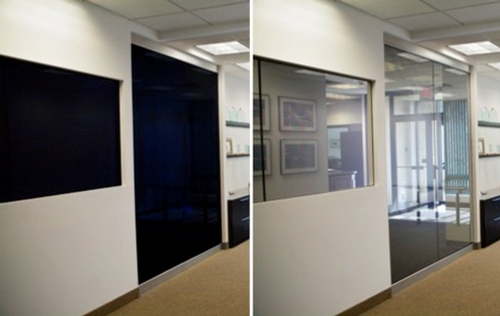 Electrochromic materials come in many varieties and are often low in cost because they are produced for other applications, the report notes. Currently, "the main active materials used for smart windows are the so-called 'transition metal oxides,' (especially tungsten oxide), along with conductive polymers," NanoMarkets says. These materials are likely to spawn the next generation of new materials in the years to come, NanoMarkets reports. Smart coatings, the focus of current research at the Lawrence Berkeley National Laboratory, also play into the smart windows value chain, Nanomarkets reports. Sputtering is likely to remain the primary method for creating smart windows, although wet coating and printing technologies are being studied, the report says. The report also looks at technology licensing and different business models in the industry. 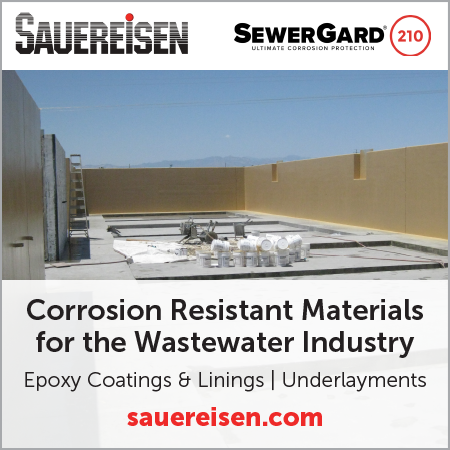 "Firms to watch" in the growing field include BASF, DuPont, Eastman Chemical/Solutia, Solvay and Toray, NanoMarkets advises.